Located on the Bay of Cancale, Cherrueix divides its activity between mussel culture and tourism. 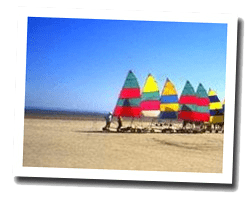 At the seaside you can find a wide beach, territory of sand yachts. From the seafront can be seen Cancale, Chausey, Granville and Mont Saint-Michel. A dike built on ancient coastlines cord allows beautiful walks along the bay. 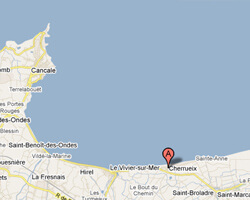 In Cherrueix enjoy a seaview holiday rental. Large sea view in mont st michel bay , direct acess to the strand from the garden. Semi detached stone house with garden.Terrace with outdoor furniture and barbecue. Close to shops and sand yacht.